Cori’s DogHouse, Mt. Juliet TN – Marie, Let's Eat! When we were in Nashville in November, our friends encouraged us to visit a popular hot dog restaurant with more than three dozen regional specialties. A couple of months later, we took the long detour and were rewarded with a really fun supper. I had won a pair of tickets to see the Tennessee Titans host the Houston Texans on New Year’s Day, so our son got to see his first NFL game. Marie dropped us off among the crowds making their way to the stadium and then went to cook and watch a Jane Austen movie with our pals Brooke and Tory. Yes, that’s right, the boys watched football while the girls watched Jane Austen. Our boy was remarkably good during the game, though he did confess that he was bored during the fourth quarter. When it was finished, we walked over to Gerst Haus for Marie to pick us up, and then joined the mobs leaving town. Mount Juliet is about halfway between Nashville and Lebanon on I-40, and Sean Sullivan picked this growing suburb as the home for his hot dog restaurant, where he planned to serve as many regional variants on the toppings as you can imagine. 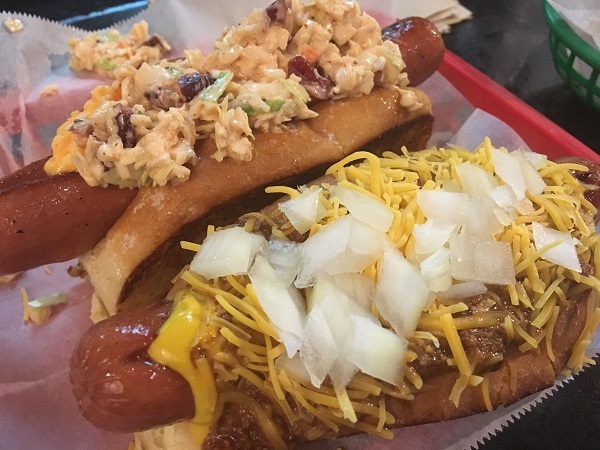 When Brooke and Tory told us about this place on our previous visit, I was reminded of the dearly-missed America’s Top Dog in Chamblee and Duluth GA, with its gigantic topping bar. From 2010-2012, this place had, all too briefly, left a huge impression on Atlanta’s food hobbyists and writers, but the combination of poor locations and other factors brought it to a premature end. It turns out that Cori’s isn’t quite the same concept as ATD. For starters, there isn’t a topping bar. Instead, you order your dog based on its geographic location. 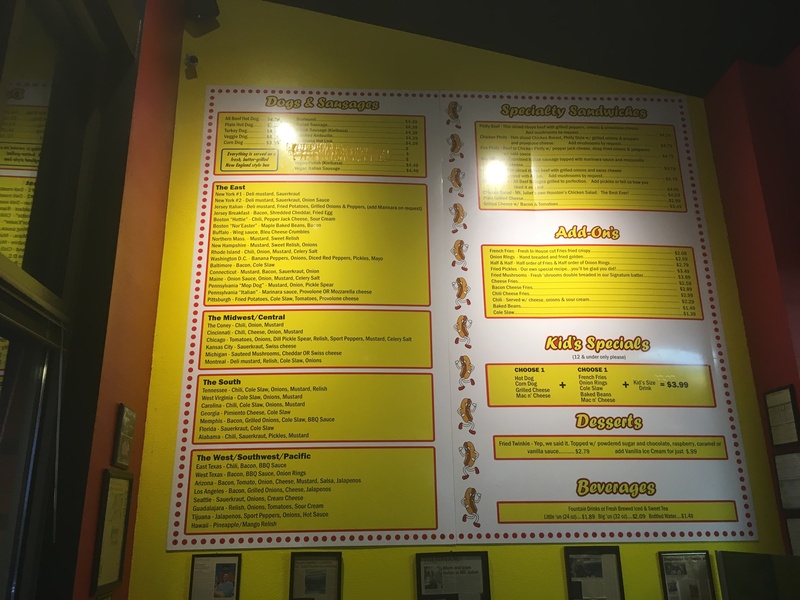 Click the image below to embiggen the menu and marvel at what you can get here. 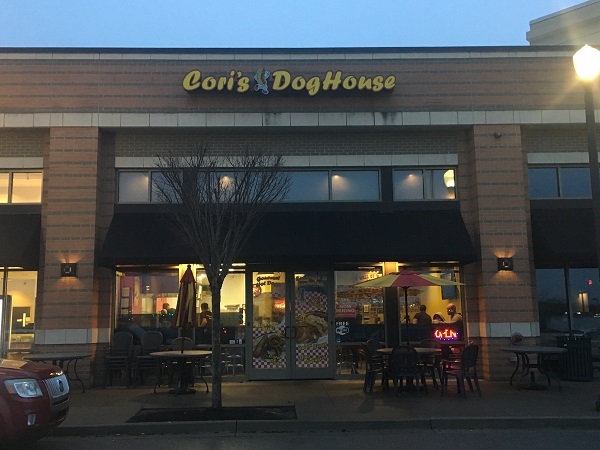 Cori’s is located in a sprawling complex of outparcel strip malls, and we drove around a bit trying to find it as the sun started to go down. It’s next to the Lenscrafters, if that helps. It’s a pretty small space, and they were very busy, but we grabbed three counter seats after placing our order. At least for our son, that wasn’t too complicated. It would either be a plain dog with ketchup, or a corn dog with ketchup for him. He went with the corn dog and received a gigantic thing about the size of the monsters they serve at Pallookaville in Avondale Estates GA. This would be the first corn dog he has ever failed to finish. 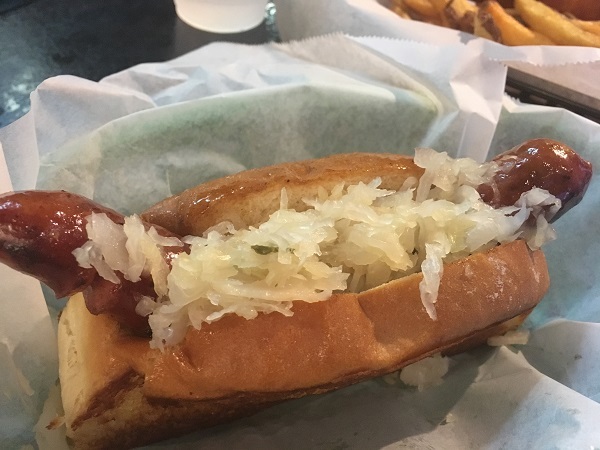 Marie ordered a kielbasa with kraut. The dogs here are served on New England-style split buns. She was really pleased with it. As for me, I double-checked that they do offer a Cincinnati-style chili before ordering one Cincy dog, with chili, mustard, onions, and cheese, and a Georgia dog (well, of course!). It comes with pimento cheese and slaw. I left a little of the buns behind; after all, my son and I had been eating our fill of popcorn at the football game. These are no-kidding good hot dogs. I enjoyed everything about this trip… everything except the slightly nerve-wracking search for gasoline when we finished. See, we were almost on empty and had intended to fill up after dinner, but got back on I-40 before we remembered. So we said we’d pull off at the next exit. To get home from Mt. Juliet, we took TN-109 to I-840 South, and that to Murfreesboro. You know how many gas stations are on that stretch of road? Zero. We were on fumes when we finally stopped. I am in no hurry for a repeat of that part of the experience, but I’d go back for a hot dog on a full tank of gas anytime. Posted on February 15, 2017 February 15, 2017 by Grant G.Posted in hot dogs, nashville, tennesseeTagged hot dogs, nashville, tennessee. 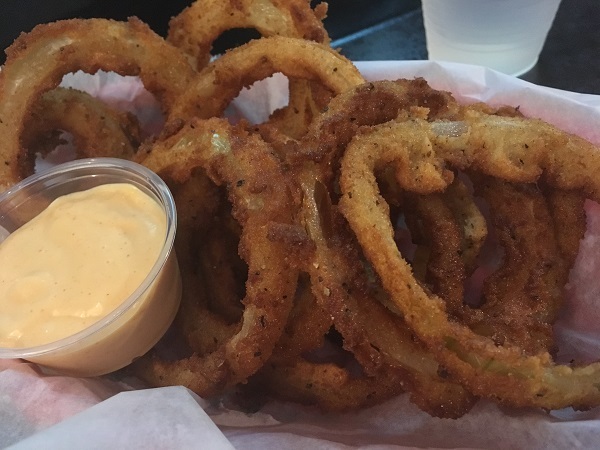 Tell us about the onion rings! They look homemade and GOOD! They are! They’re not Nikki’s-good, but you’d like them a lot!